Now do you see why I created those pages on my website years ago? One titled "The Pope and Islam," another titled "The Pope wrote the Koran" and another two called "Islamic Antichrist" and "The King of the North"? The reason for the last two pages is an open rebuke on those that help Rome in their attempt at trying to make Islam appear to be the long prophesied holder of the title "Antichrist" when every historic fact and every prophecy that has been linked to those historic facts, and not to mention what every single denominational leader has declared in writing, the Popes of Rome have been and always will be the home of the Antichrist. 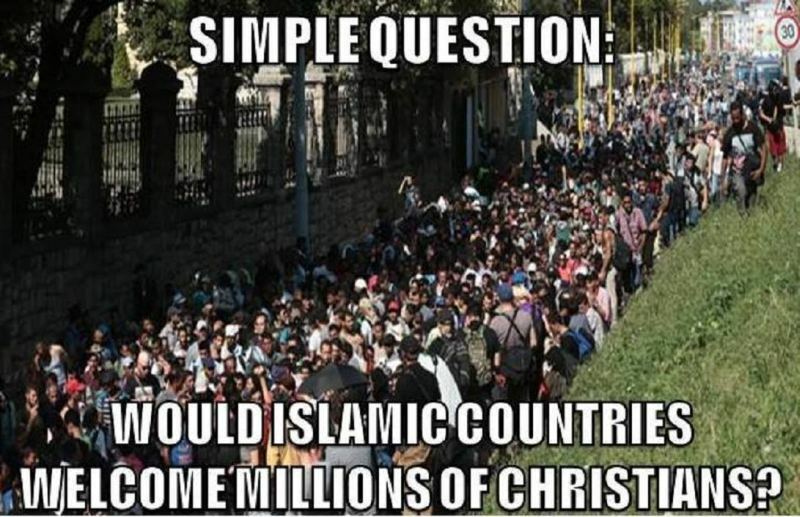 But why are they so adamant about getting Islam into every nation on earth including the USA? Since some may be new to this website I will repeat the prophetic facts for you. As we look at many of the laws that have been passed around the world that help the Vatican gain power, while at the same time guarantee Muslim powerful political benefits as well as billions in military armory thanks to Obama's friendship, is there any wonder as to why the man of sin in Rome would choose to have a Muslim stand as president in the USA? They did this very same thing with Roman Catholic Emperor Adolph Hitler, did they not? Still, since we now know the Vatican invented the religion of Islam, it stands to reason they also invented the Koran. The fact the Koran contradicts itself repeatedly and they had to create a doctrine that states newer verses are now to be taught to supersede older verses proves it was a work in progress by man. The true God never has to change His Word when society changes due to Satanic influence because His truth is eternal. Lies continually have to be updated and re-written to keep the deceived in check. This can also be seen in Roman Catholic doctrine wherein it changes over and over again with each new pope. So the Koran is going to be no different. And by the way, where you aware of the following historic fact? Rome has invented Islam for the very same reason they invented Hitler's 3rd Reich. In fact, I believe this is why Yemen’s al-Qaeda is calling for jihad against Jews and Christians as we speak. The killing is about to get much worse than just 165,000 Christians a year. And how are they dying? I won't post the pics or videos, but most know the Muslims love to kill Christian by beheading them, burning them and torturing them just as the Popes did during the Inquisitions. And we all know what it says in Revelation 20:4 about those that refuse the mark of the Roman beast will be killed by beheading and some of us are very aware of the tens of thousands of guillotines in America right now. Prophecy says the Vatican is home to Antichrist. That being the case, Rome must be able to attack Christians all over the world and force men of all religions to bow Satan and receive the mark of the beast. But the Vatican needs to play the moral card so as to act as if they are Christians to keep the masses from storming the Vatican. This is why they used Hitler in his day to kill millions of Jews as well as Christians. This is why they have altered all the history books they could reach to hide what they did during the Inquisitions to 500,000,000 Christians. And this is why (as prophesied) the Popes apologized for all the killings because the birth of the Internet made it impossible for them to burn or even alter all the historic books now showing up online. And this is why they needed to create a religion (Islam) that everyone on earth accepts as being evil and out of control. Rome can use the Muslims to do their bidding as they did with Hitler while at the same time act as if they are appalled by their acts. This is the perfect scenario for them to get their agenda met. They can stand before the people as moral men of the cloth while killing them and their children all along doing so wearing the mask of an Islamic terrorist. The stage is set, the players are on their mark, and the Christians are in the targets. That being said, are you ready? ARE YOU SURE! ?